Pictured is one of the Museum's vintage tree ornaments, all of which are hand-made by dozens of volunteers. Everyone has heard of the 3 Ghosts of Christmas... and when you arrive at the Brandywine River Museum of Art, it is easy to imagine the Ghost of Christmas Past haunting its halls...browsing three generations of Wyeth masterpieces and special galleries adorned with the works of other American masters. Gorgeous Christmas Trees are everywhere, decorated with vintage-style handcrafted ornaments made by dozens of museum volunteers. In addition to permanent art collections, there is an exhibit by Dylan Gautier and several recently acquired pieces that include N. C. Wyeth’s masterful tempera painting Island Funeral (1939). Plus three watercolors by Andrew Wyeth —Master of the Hounds (1949) depicting local horseman Gilbert Mather, The Pirates (1939), and Murlanda (1996), a portrait of the Wyeths’ long-time friend and collection manager Mary Landa. Newly acquired work by Jamie Wyeth includes a portrait of Deo du Pont Weymouth done in 1964 and the recently completed portraits of Andy Warhol (First in the Screen Door Sequence, 2015). 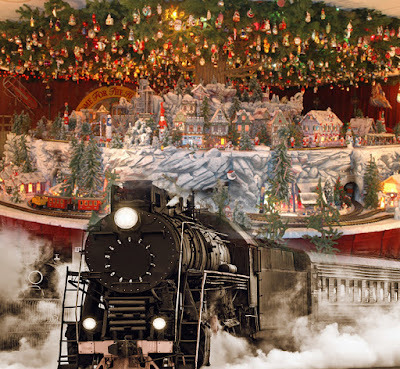 The remarkable Brandywine Railroad O-gauge model train display features trains running on nearly 2,000 feet of track and includes more than 1,000 pieces, from locomotives, passenger and freight trains, to clockwork sets and trolleys that pass through a small town, a farm, factories and even a carnival. The antique Victorian Dollhouse (circa 1900) is a wonder of workmanship. The eleven-room house is true to Victorian decor-cluttered rooms filled with overstuffed furniture, wax flowers, gilt mirrors, fringed cushions, and knickknacks--all made to scale. 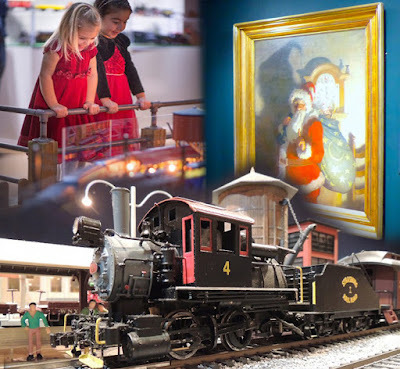 Sundays, Dec 3, 10, 17, 31 --1 to 3 p.m.
CHILDREN’S CHRISTMAS PARTY Wednesday, Dec 6 -- 6–8 p.m.
Saturdays, Dec 16 -- 8:30–10 a.m.
People journey here from all over the world, lured by half a million lights...stunning Christmas Trees...and breathtaking plants and flowers. The night air is filled with music, caroling, and dancing fountains. The halls are decked in spectacular style and a sense of wonder fills every heart. 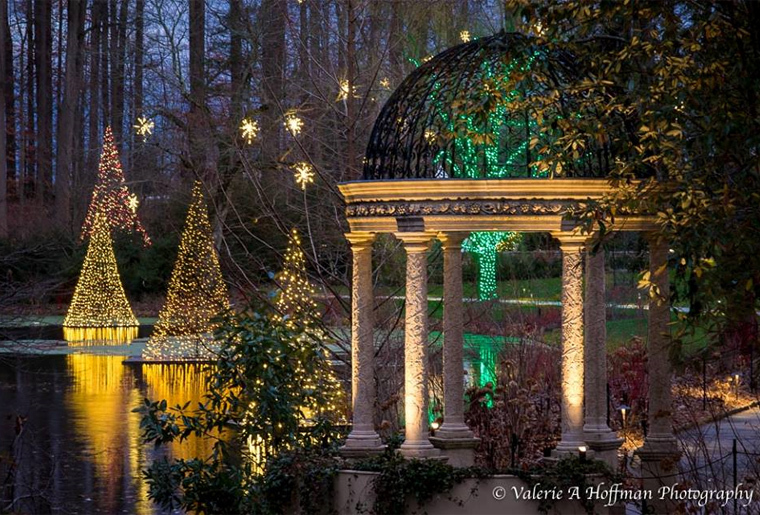 Explore for yourself, the magic of Christmas at Longwood. 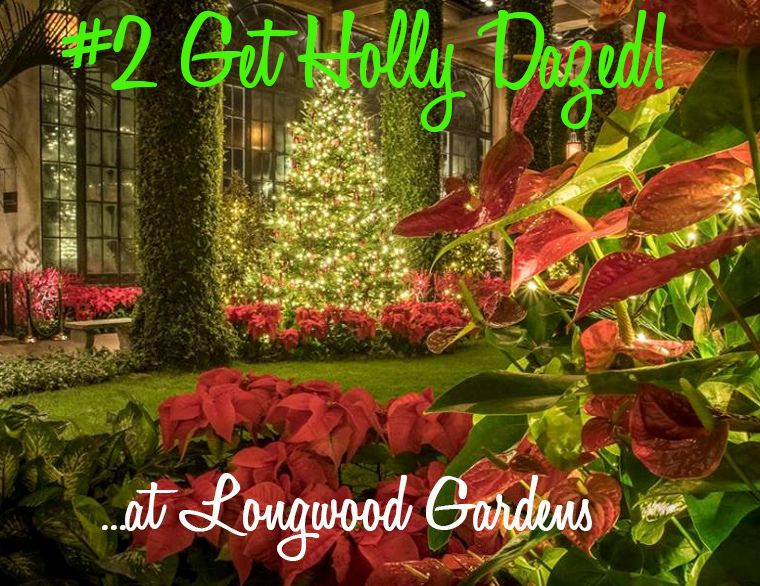 Now through January 7th, bring friends and family to Longwood's holiday extravaganza. 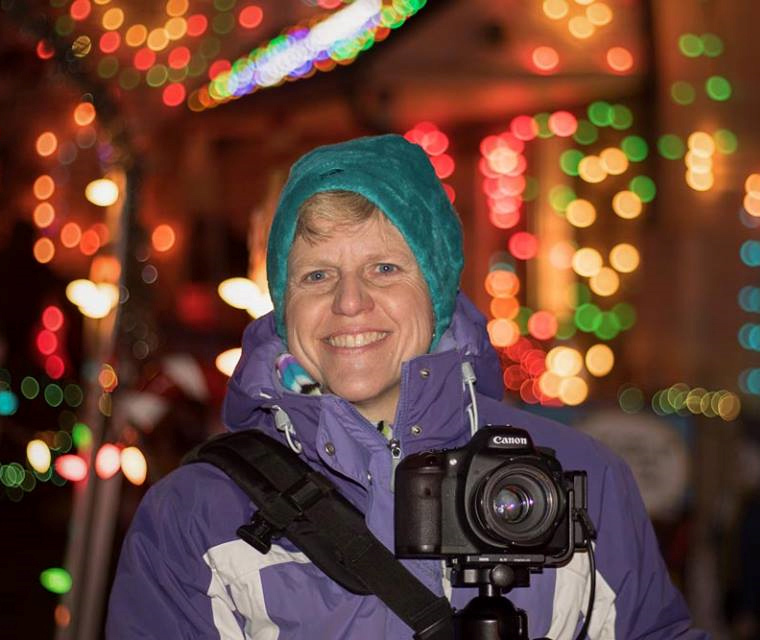 And because pictures are worth a thousand words, all the photos in this story were taken by Valerie Hoffman, a local photographer with an eye for the spectacular. 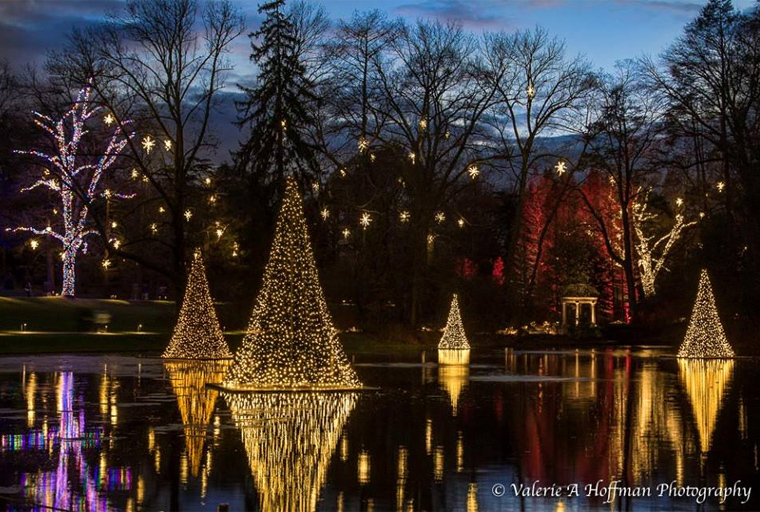 From mile-after-mile of dazzling outdoor lights to cozy fire pits warming hands and hearts under a blanket of stars -- there are few places more beautiful than Longwood Gardens. This year more people than ever are expected to come for Longwood's French-inspired holiday display where the Conservatory echoes the splendor of France’s Versailles with fanciful topiaries, imaginative wreaths, ornate mirrors, and more than 50 trees trimmed in classic holiday hues and sparkling crystal ornaments. Thousands of floating cranberries, apples, and gilded walnuts create an intricate mosaic in the grand tradition of a French parterre garden. Outside, colorful fountains dance to holiday music, strolling carolers herald the season with song, talented skaters glide across the ice and good will permeates the air. Check the website above for daily tours, concerts, and special programs. 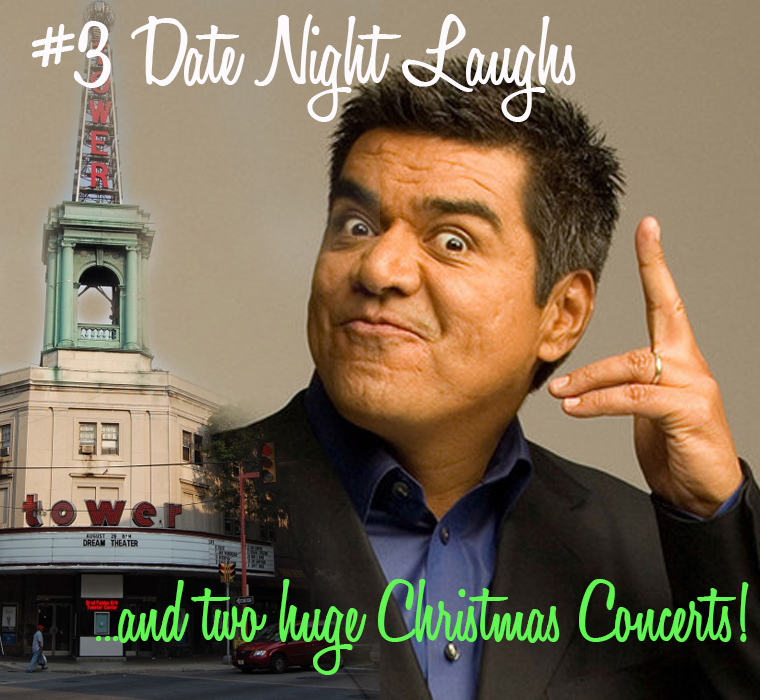 Producer and star of his long-running TV sitcom, George Lopez demonstrates his versatility in his newest Stand-Up act. His irreverent yet wildly funny performance calls upon his wit and personal perspective to examine race and ethnic relations. Mexican-American culture is targeted, but you can be sure that the current political scene, as well as everyday life, will also provide plenty of material for his act. See for yourself why Lopez was named one of Time Magazine's Top 25 Most Influential Hispanics in America and earned a spot on the coveted Harris Poll list of the Top Ten Favorite TV Personalities in 2006. Winners of NBC’s show "The Sing-Off" this incredibly talented American a cappella group from Arlington, Texas, has become one of most popular musical groups in the world. Vocalists Scott Hoying, Mitch Grassi, Kirstin Maldonado, Kevin Olusola and Matt Sallee perform music with pop-style arrangements using vocal harmonies, basslines, riffing, percussion and beatboxing. And finally, on December 16th, experience the K-Love Christmas Tour starting at 7pm. 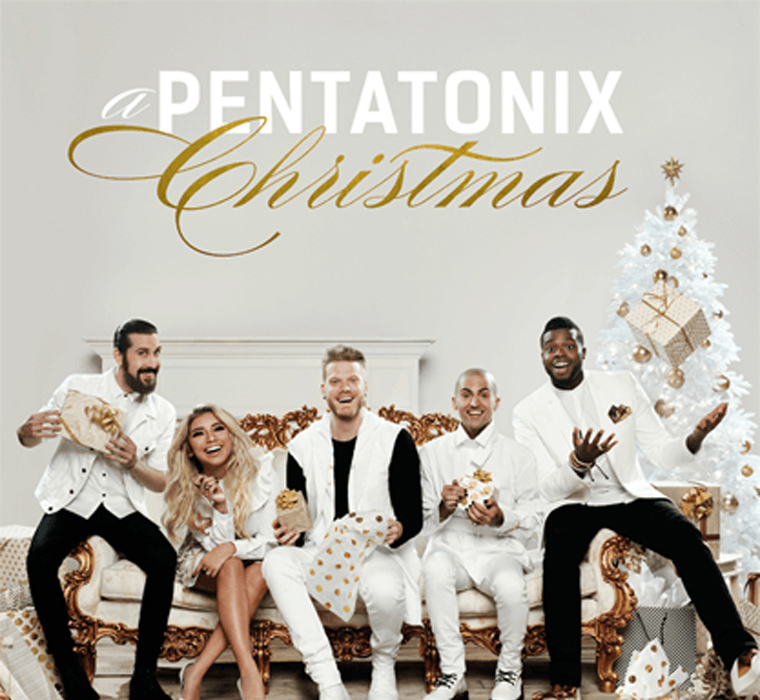 The biggest name in contemporary Christian Music has gathered three great artists for a presentation of carols, classic Holiday pop tunes and songs for worship. Award-winning singer-songwriter Stephen Curtis Chapman is joined by Lady Antebellum front-woman Hilary Scott and Irish worship band We are Messengers for an evening of holiday family entertainment! 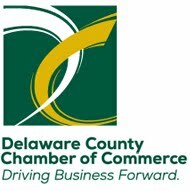 The Delaware County Symphony presents their second full symphonic concert of the 2017-2018 season at 3pm on Sunday, December 3rd at Neumann University's Meagher Theater. Titled "World of Flavors" the theme is Excursions into contrasting worlds of sounds. 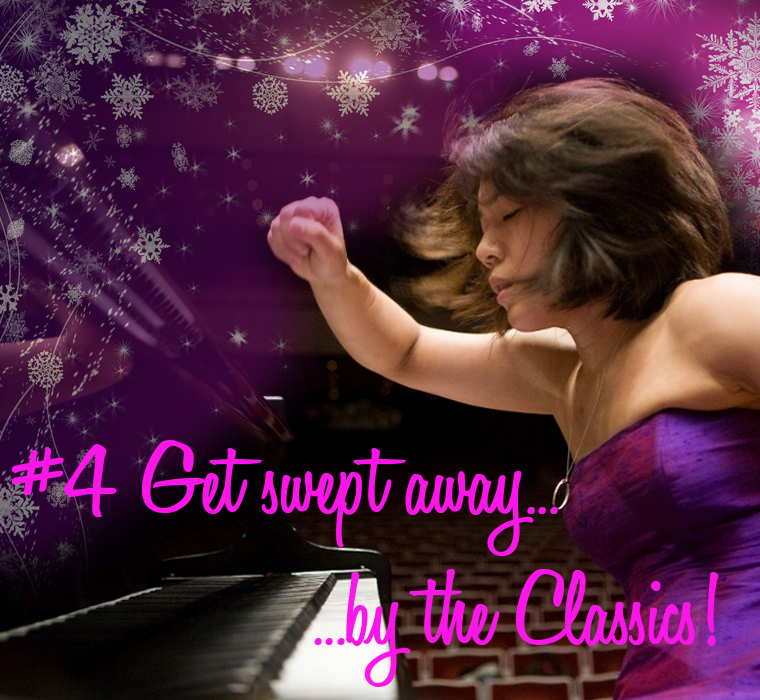 Featured is the beloved Piano Concerto No. 4 performed by Ching-Yun Hu. This internationally recognized pianist shares both her skill and passion for music with every listener from the front row to the last. Brigg Fair by Frederick Delius. Enjoy a free pre-concert lecture by Dr. C. Michael Kelly from 2:00 to 2:30 p.m. Admission: Concert tickets are $20 or $17 for seniors & students. Children under 12 (one child per paying adult) are admitted free.Upon presentation of the Delaware County or Montgomery County Library card two tickets may be purchased for the price of one regular admission ticket the day of the concert. There is ample free parking adjacent to the theater and the Life Center is handicapped accessible. For tickets/information, please call 610-879-7059. Thursday, December 7 • 1:30 p.m.
Kate and Randy present all your favorite Christmas selections and have you singing along in your seats. Admission: General $10; FREE for Neumann students, staff and Cultural Arts Forum members. 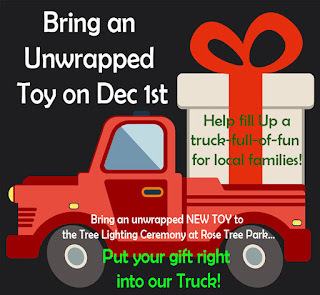 Saturday, December 9 • 2:00 p.m.
Sunday, December 10 • 2:00 p.m. 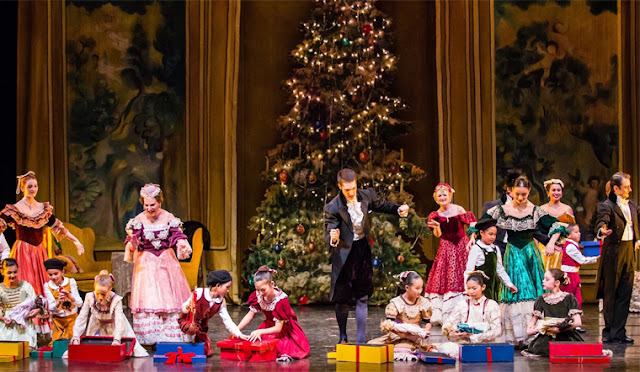 Enjoy the holiday magic that delights audiences of all ages! Journey into the Land of Snow and the Kingdom of the Sweets with dramatic dancing and pageantry! 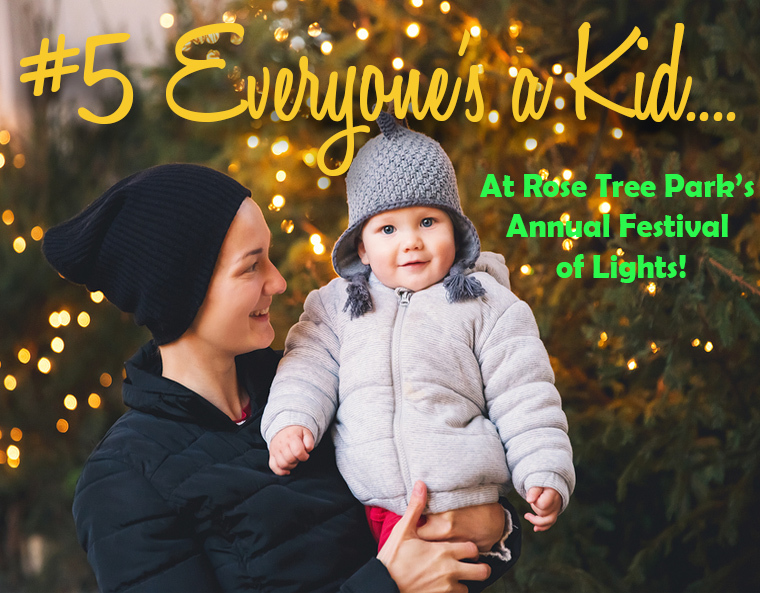 Delaware County families have begun their December pilgrimage to Rose Tree Park for the Annual Festival of Lights...a twinkling holiday home for beloved children's characters, Santa, and even a few Victorian carolers. Those of us who work at Destination Delco are very lucky. Our Tourism offices are located in one of three historic buildings on the grounds of Rose Tree Park. And while it is beautiful year round, Christmas is when this County park really tugs at your heart. 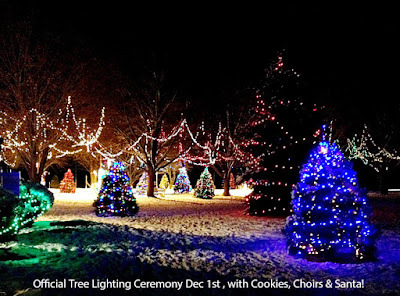 More than 100,000 lights twinkle on at 5:30pm each day, and twinkle off at 9:30. Christmas lights are also strung around the Park's Gazebo and Santa and his reindeer ride the crest of a nearby hill. 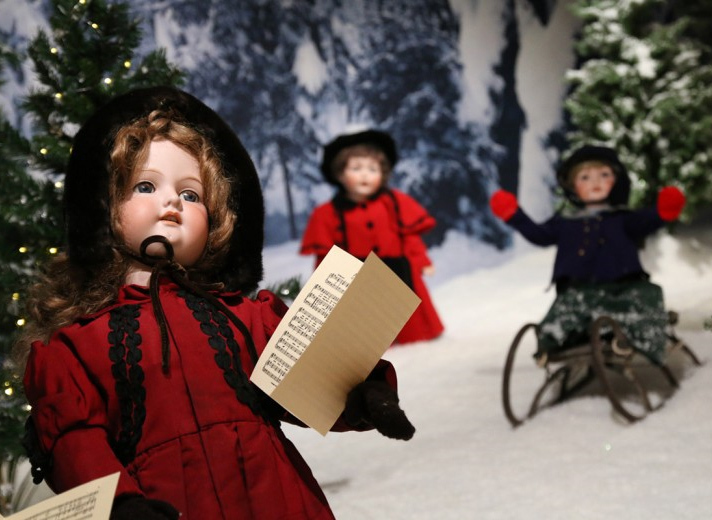 Bringing thoughts of Charles Dickens to mind, are the wood crafted Victorian carolers, created many years ago by Williamson Trade School students. 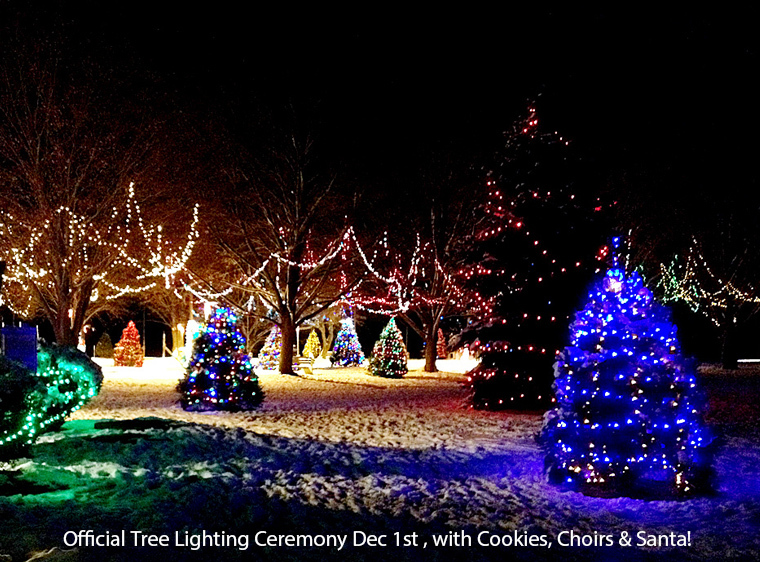 Opening Ceremonies are Friday, December 1st at 7:00 p.m. Enjoy a welcome from County Council, the music of the Springton Lake Middle School Select Choir, plus complimentary cocoa from Acme & the arrival of Santa! 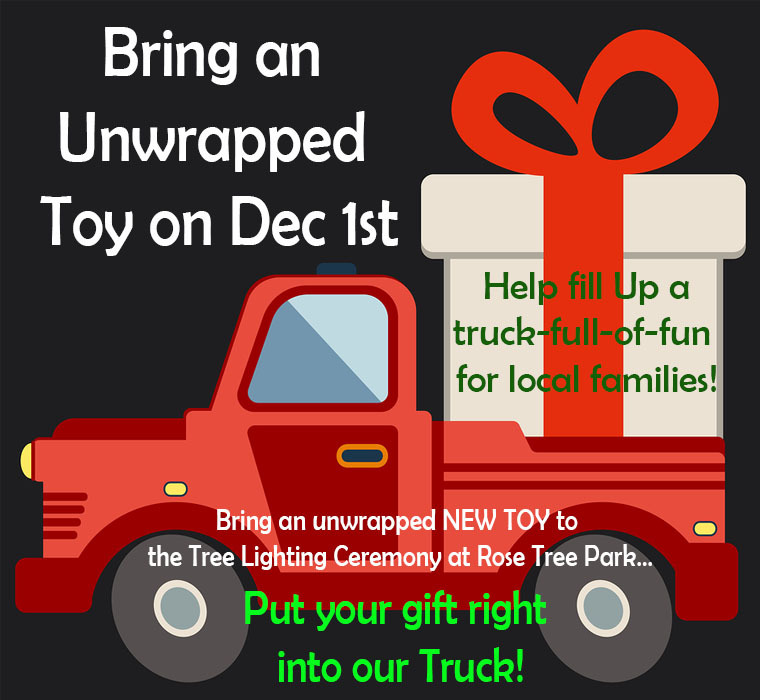 IF YOU'RE ABLE, BRING AN UNWRAPPED TOY FOR A LOCAL FAMILY. Animals, like kids, come in all shapes and sizes. Big - small - lanky - long haired - scruffy - scrappy - and some are very well dressed (like the big guy above! 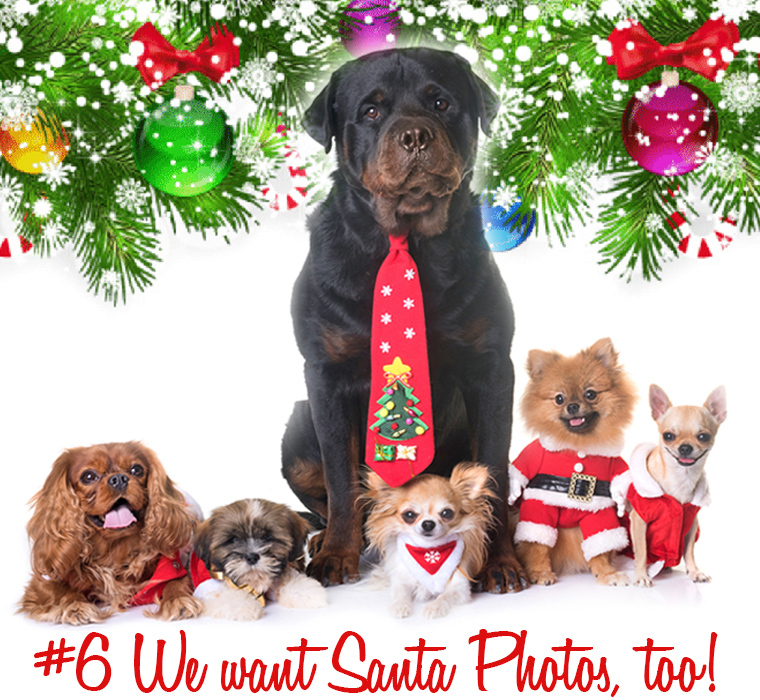 )...but they all look cute as buttons in Santa photos! 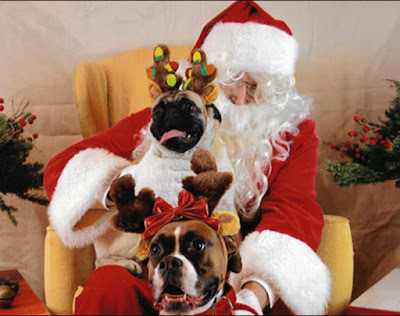 So if you've got a canine, cat or even a fish-kid at home, head for Braxton's Animal Works in Wayne, for PET PHOTOS WITH SANTA on December 3rd, 9th and 10th. Human kids are welcome too! There“s a $10 Sitting Fee. 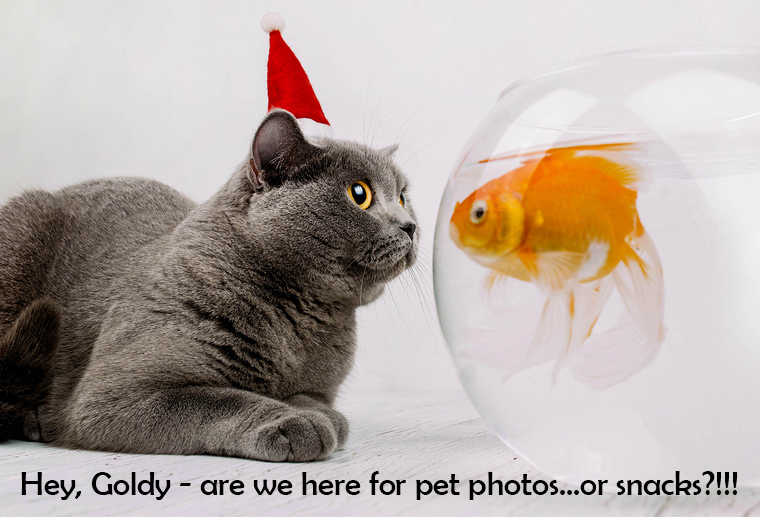 Opened more than 75 years ago, Braxton’s is a third generation pet supply store featuring healthy food brands, interesting pet toys, and most importantly the staff can help you right on the spot with any questions about Spot! O Come All Ye Faithful...a treasured carol - and a call to action if you’re pine-ing for the perfect family Christmas tree! 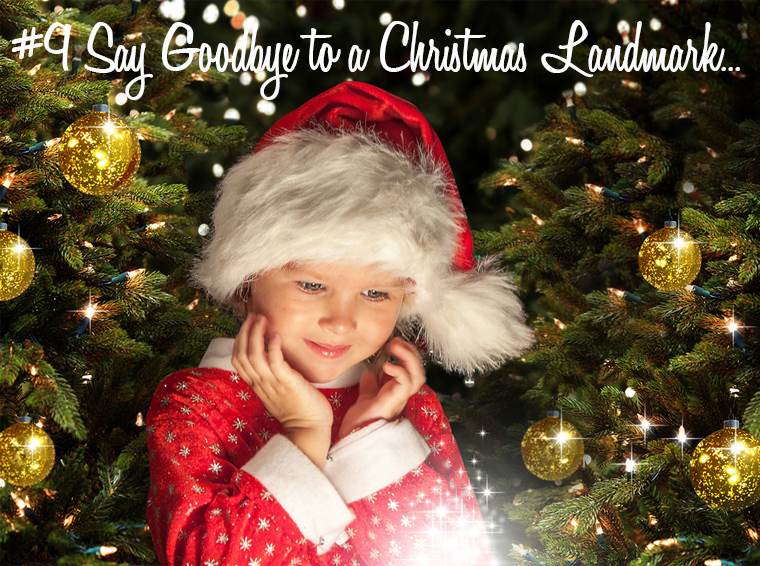 Now through December 23rd, families from all over the Delaware Valley and beyond will head to Linvilla where over 40,000 Christmas trees are planted in rich Delco farmland, standing ready to fill your home with warmth, love and memories. Big game hunters will load the family into a hay-wagon for a trip to the Christmas tree fields. Scour-away to your heart's content! The majority of trees are 6' to 10' Douglas Fir - but you'll also find some Canaan Fir. Linvilla provides a saw for you to cut your tree. Then they'll even haul it back for you, shaking off the loose needles, wrapping it up and even tying it to your car. They can also drill a hole in your tree for "Stand Straight" Christmas Tree Stands. Price: Select any cut-your-own tree for just $69.99 plus tax. Services described above are all included. 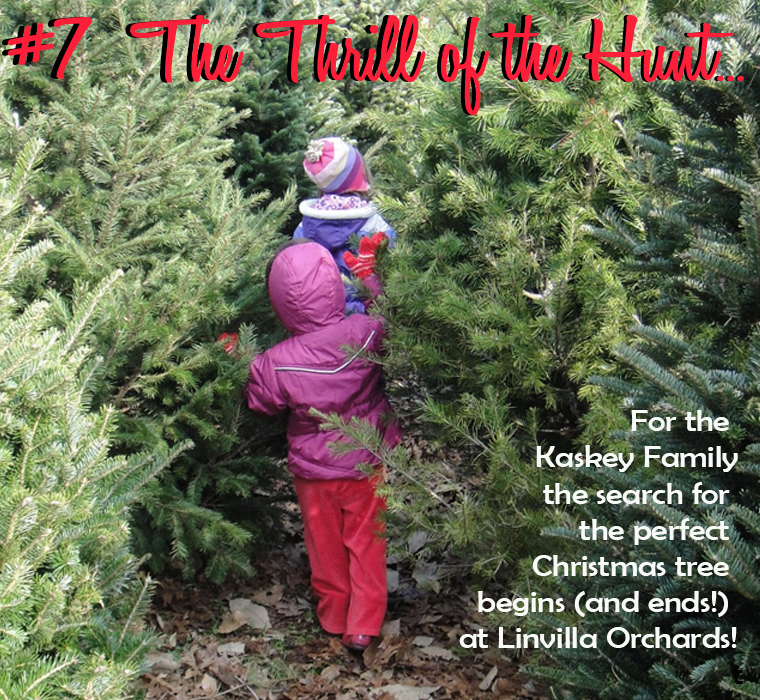 "Fir" those who prefer indoor tree hunting, Linvilla's Garden Center is transformed into a magical wonderland, brimming with cut trees, garlands and wreaths. 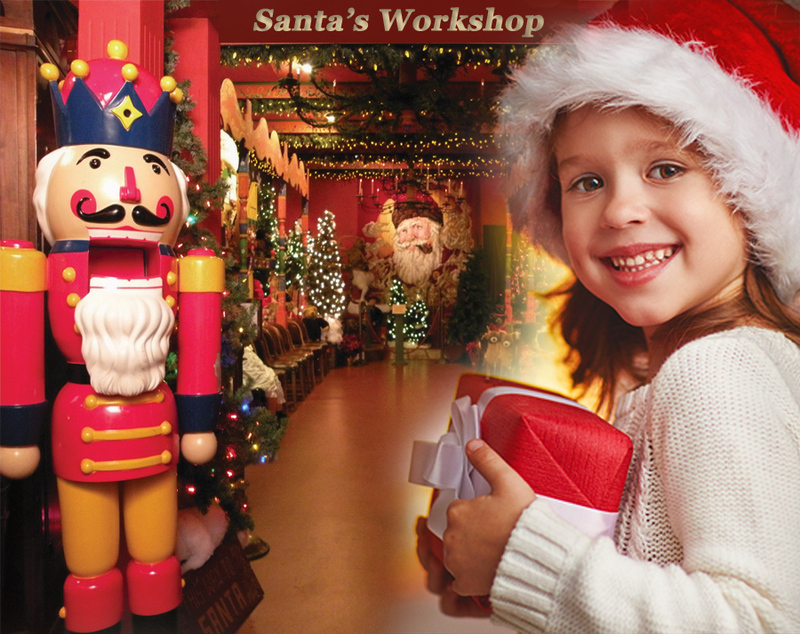 Meet Santa and his elves, and browse a remarkable selection of toys and collectibles. And don't "fir-get" to stock up on home-made seasonal baked goods from their ever popular market. Get your tickets now for two of the region's best Holiday Shows! 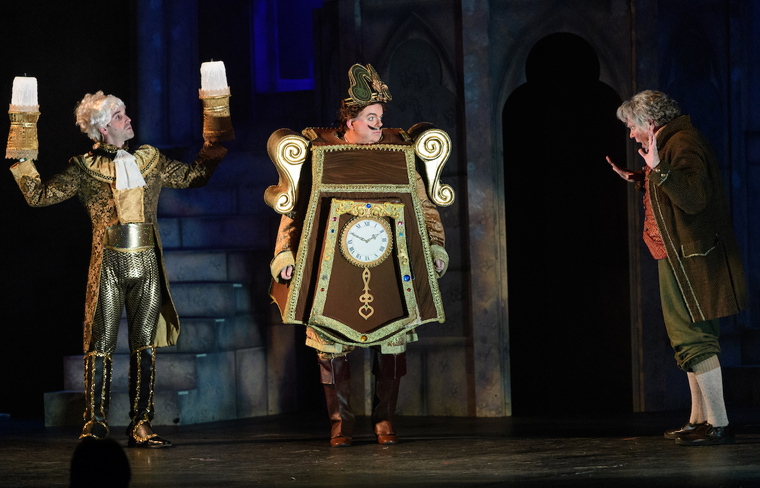 Join Belle at the Media Theatre, where she’s been taken prisoner by a beast in a dark and shadowy castle...in DISNEY’S ‘BEAUTY AND THE BEAST! The Academy Award-winning film comes to life in this romantic and beloved take on the classic fairy-tale. The stage version includes all of the wonderful songs written by Alan Menken and the late Howard Ashman, along with new songs by Mr. Menken and Tim Rice. And for a fun afternoon with your children...Take them to see Media Theatre’s JACK FROST SAVES CHRISTMAS! The rollicking, merry, and heartfelt musical is all about Jack Frost, a boy who is unique because everything he touches turns to ice. He appears out of a snow bank and meets four humorous animals: a rabbit, a polar bear, a penguin, and a raccoon. Features Austy Hicks as Jack Frost and Roger Ricker as Mr. Holly. Saturdays at 11am & Sundays at Noon Nov. 26 through Dec. 31! 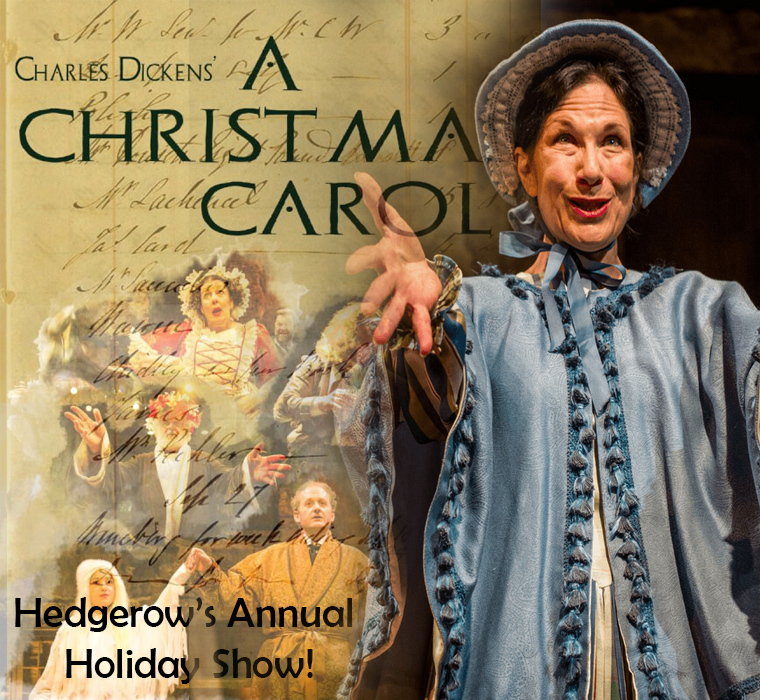 Hedgerow Theatre invites you to relive the transformation of Ebenezer Scrooge, laugh with all the Cratchits, and journey through space and time with the Ghosts of Christmas Past, Present, and Yet to Come as merriment and mirth fill your heart with joy. For 25 years Hedgerow has been presenting Charles Dickens' A Christmas Carol in their 1840's Grist Mill...and it is the perfect setting for Dickens' version of Victorian London. “A Christmas Carol is a timeless story of the redemption of a man to his better self – we choose to shut ourselves off from our humanity, and we can choose to embrace it,” says adaptor and director Jared Reed. 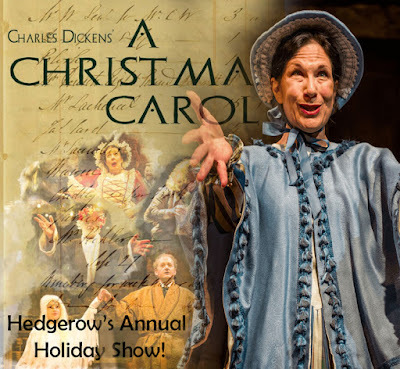 Professional Actors are joined by over 60 members of the community to make Hedgerow Theatre’s Charles Dicken’s A Christmas Carol a part of the Holidays you cannot miss. Adult ticket prices are $35, with a $3 discount for seniors. Tickets for those ages 30 and under, as well as for students, are $20. For groups of 10 or more, tickets are $18. 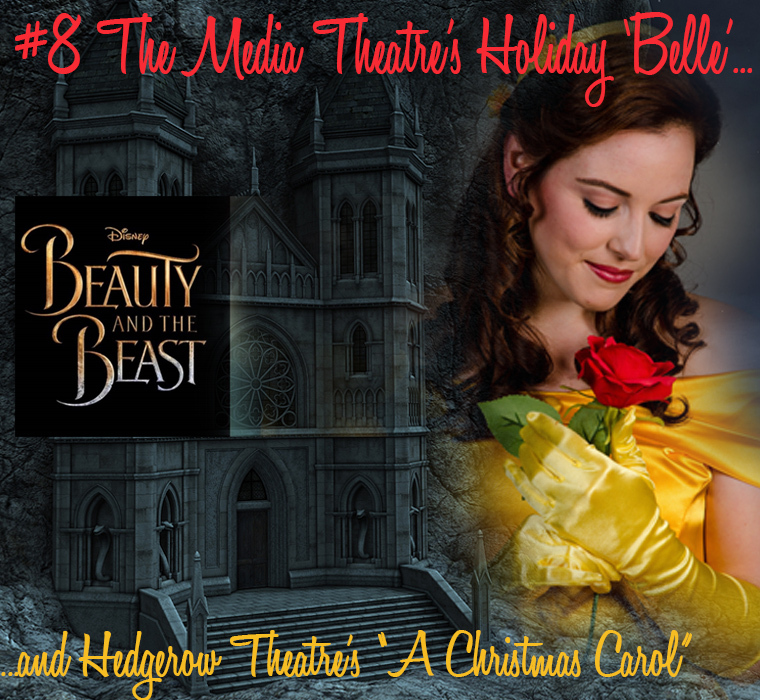 For reservations or more info, call 610-565-4211 or visit The Hedgerow Box Office. There is a magic place not too far away, where Christmas has lived for almost 20 years. The National Christmas Center & Museum is 20,000 square feet of memories kept alive and polished by the thousands of people who visit every year. Like a giant magic mirror it reflects the Christmas experience of our parents, their parents and even our great grandparents. traverse a mountain 30 feet in diameter and three tiers high. But this could be the last Christmas for anyone to step through that looking glass. "It is with great sadness that we make this post today. After many tough conversations and some difficult seasons over the past few years, National Christmas Center has had to make the very difficult decision to close it’s doors permanently following our 2017 season...our passion for this most wonderful holiday is stronger than ever and we are deeply saddened that we will not be able to share it with the world going forward." Yes, Virginia, there is a Santa - and if you'd like to see his Workshop, Reindeer Barn and other exciting exhibits, make sure mom and dad bring you this month! 1950's Woolworth's 5 & 10 - showcasing vintage Christmas toys and merchandise displayed in a realistic store setting. An Antiques Emporium showing how hand-blown glass ornaments are made, countless Christmas antiques and unusual items such as old Santa masks used in church and school pageants. A Pennsylvania Christmas with life-sized scenes, including a simple Amish celebration. Storefronts decorated for the holidays line this street straight out of the 1950’s. See hundreds of Nativities from around the globe. ’Tis the season for holiday gifting and retail cha-ching! 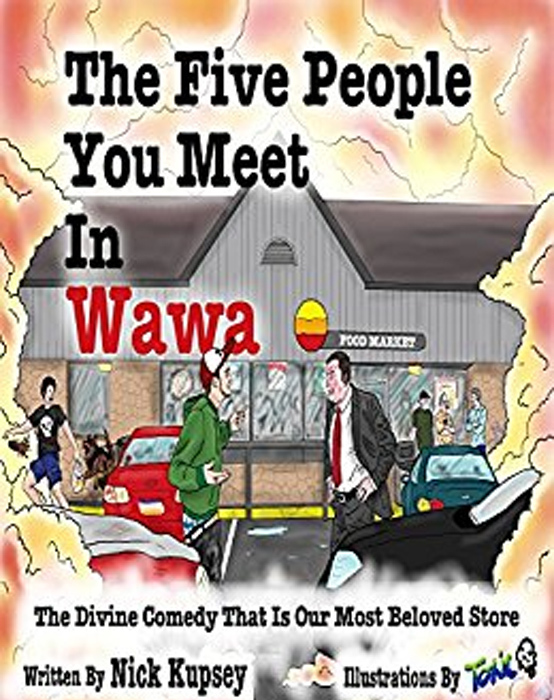 So here are a few of the weird and wonderful “Delco Proud” Stocking Stuffers that are sure to put a smile on someone's face (like the product above!). 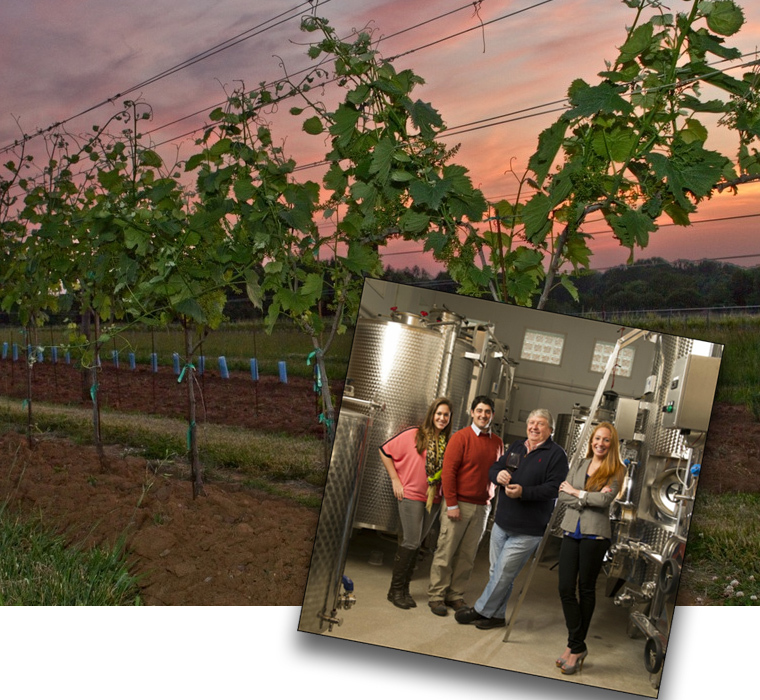 All are home grown, locally produced or owned right here in Delaware County. Web links are provided for easy info gathering. He's always smiling...he cleans better than I do...he never lets me down...and sometimes he gets all soft and squishy inside. So what's not to love about this Folcroft based SHARK TANK WINNER and QVC powerhouse, SCRUB DADDY?! I love these little guys. In fact several of my friends and family are getting holiday gift-packaged Scrub Daddys and Mommys in their stockings this year. (I hope they're not reading this ;) Not only are they inexpensive - they out-perform their advertising! 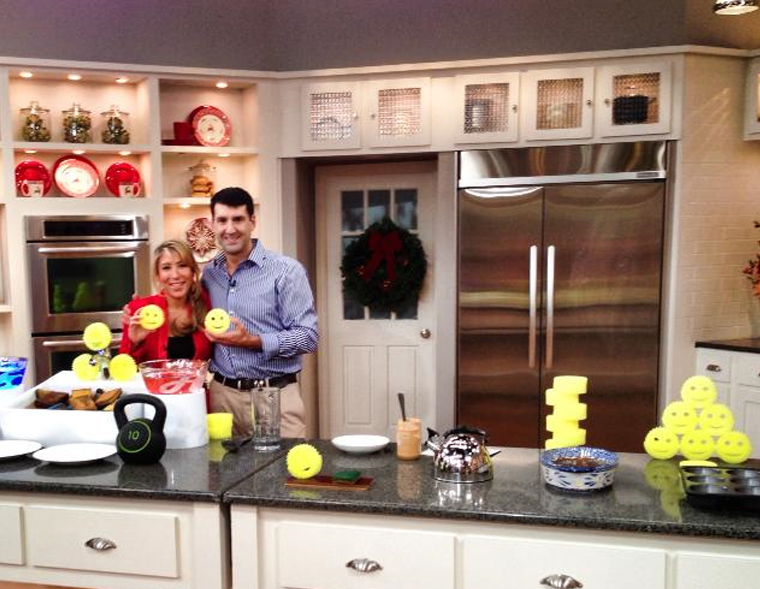 The cost is about $5 per Scrub Daddy at local grocery stores, and I purchased 3 holiday-packaged sets of 4 Scrub Mommys (12 sponges) for $30 on QVC. The sponge has a revolutionary design, changing texture based on the water temperature. It gets firm in cold water for tough scrubbing, and soft in warm water for light cleaning. And it cleans well with water alone! It's scratch free on over a dozen surfaces from non-stick to stainless steel and even car exterior paint! Scrub Mommy (my favorite!) combines smiley face ergonomics and dual sided design - to allow you to scrub with one side - then flip - and swipe up with the soft side. 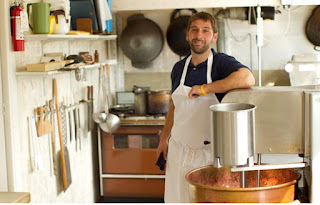 Order unforgettable sweet treats from a candy maker that is 58 years young & flourishing in Media. What began as a hobby for Maurice and Virginia Bevan grew into a regional favorite for gourmet candy and confections of all sorts. 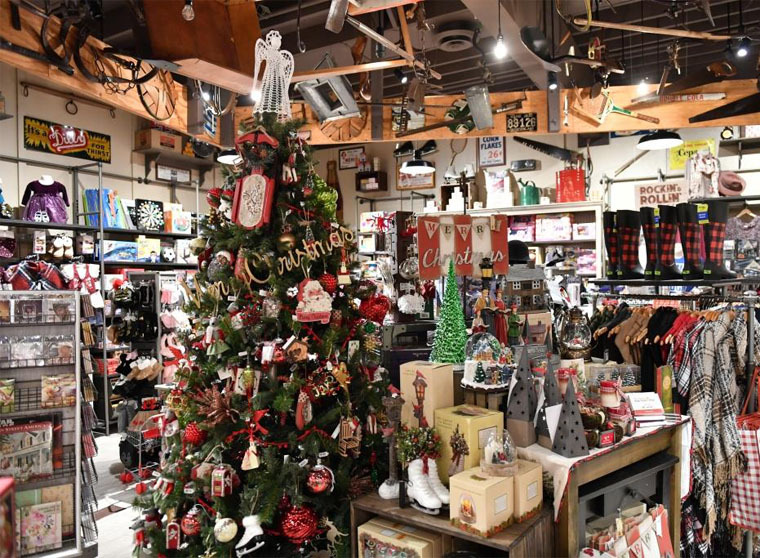 Browse everything from non-pareils and butter creams, to specially made chocolate Santas ... you'll feel like a kid in a candy store. Place Christmas orders up to December 8th... or head for their store on Baltimore Avenue to see all the glorious goodies on display! REMINDER: THEY ONLY TAKE CASH, no credit cards. Fellini’s Cafe in Media (pictured right) not only serves great Italian cuisine...the atmosphere is wonderful with original hand-painted art murals and rich granite tables in private alcoves. And on Monday nights listen to the soaring vocals of Opera Night. 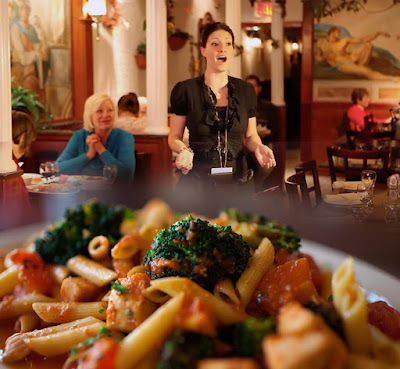 For more restaurants go to our Destination Delco Restaurant Guide where each listing includes photo, description, website and phone numbers. PLUS: When you get to the guide, click on the BEST OF THE BURBS logo on the right to read Craig LaBan's Top Delco Restaurant List for 2017! 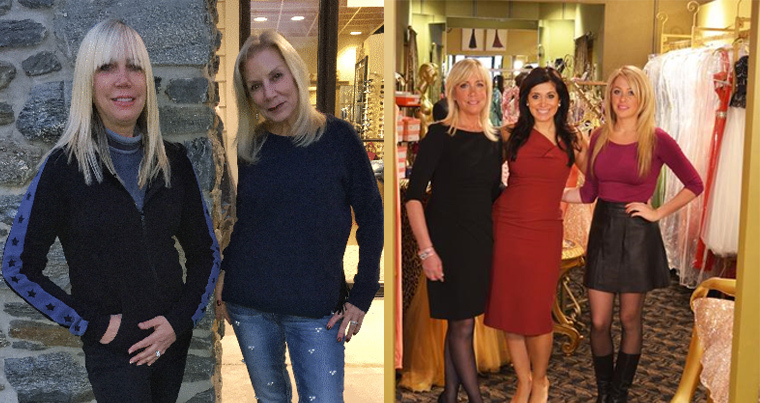 For Buzz-worthy, Hip & High-end Fashion, Gifts, and Accessories - Get Bedazzled! who was doing an OSCAR clothing segment for FYI. Penns Woods Winery is a family-vineyard in Chadds Ford. 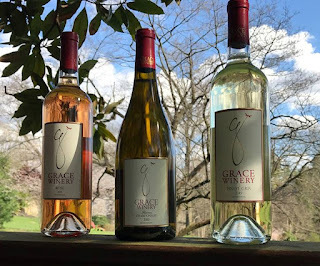 Another fine local vineyard is Grace Winery in Glen Mills. 2SP BREWING COMPANY in Aston has a cool slogan: Pretentious? Never. Passionate? Always. national beer by the six pack and case. 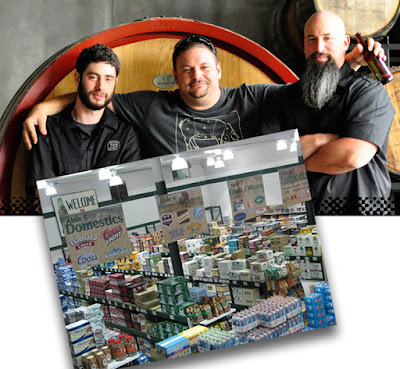 2SP Brewing Company’s mission is to bring world-class beers from world-class brewers to this region. 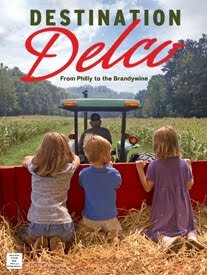 So put a pack of Delco Lager under the tree...it's an American Amber Lager - a classic every day beer updated for today with premium ingredients and pure Delaware County wudder. Goes best with everything from sandwiches to steak to stadium food! Give the gift of "Making Memories"
Get tickets now before they sell out! Exclusive holiday ticket packages are now available for the 2018 BMW Championship, to be held September 4-9 at Aronimink Golf Club. 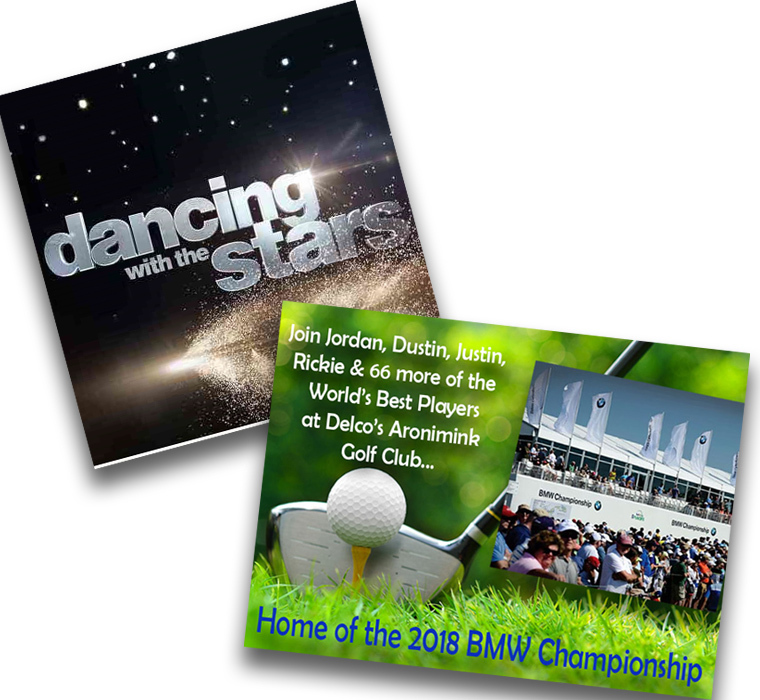 Now through Jan. 5, 2018, patrons who purchase a Trophy Club ticket online will receive a complimentary BMW Championship folding chair, a $25 value. Attendees will be issued a special voucher to receive their chair upon arrival at the BMW Championship in September. 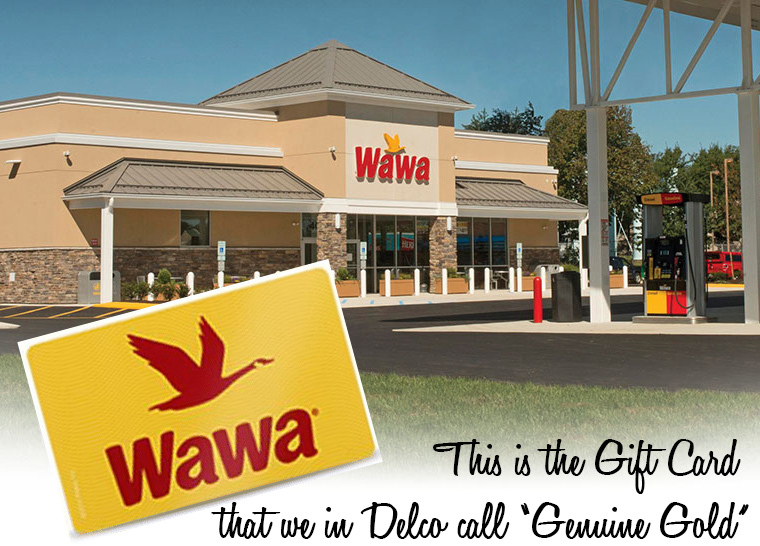 Finally, there is one fail-safe gift that everyone in Delco either has or wants: a WaWa Gift Card! 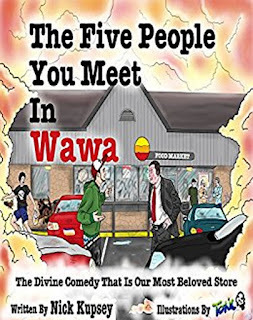 I can personally vouch for WaWa’s sensational coffee which comes in every size and taste imaginable! But others are woo’d in the door by a never ending supply of fresh-made breakfast sandwiches, subs, soups, fresh cut fruit, and munchie-killing snack foods as far as the eye can see. The book, called a “Divine Comedy” is about our favorite morning-noon-and night place...and the unique characters who frequent it. (Are you in it?) The Kindle price is under $5 and the paper back is around $11. Ridley’s newest restaurant is an old friend... with its iconic Southern home-style food, warm smiling service, and an air of nostalgia that grips you like a friend's handshake. CLICK HERE FOR A CHANCE TO WIN ONE OF DESTINATION DELCO’S “DINNER-FOR TWO” GIFT CARDS! Here are just a few of the almost 200 employees who are busy preparing for the Grand Opening! Ridley is their 647th location, and just as its predecessors have won the hearts of millions of people, it will serve up the kind of dining experience that feels like a hug, and tastes like home-cooked heaven. Everyone lingers in the General Store, browsing gorgeous quilts, rugs, old-fashioned games, vintage toys and more. 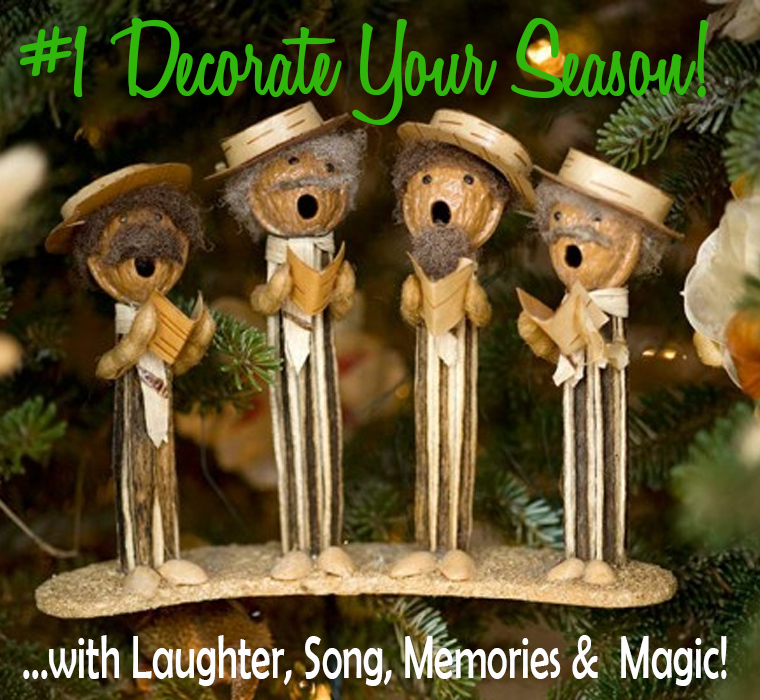 With Christmas coming, be sure to check out their holiday decorations, Yankee Candles, water globes, and ornaments! 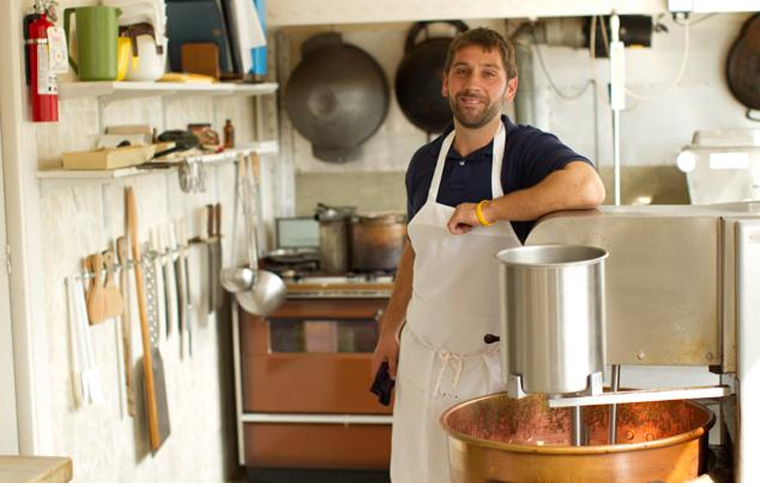 You'll also find some of the best cast iron skillets on the planet, along with fun aprons, apparel, cook books and more. 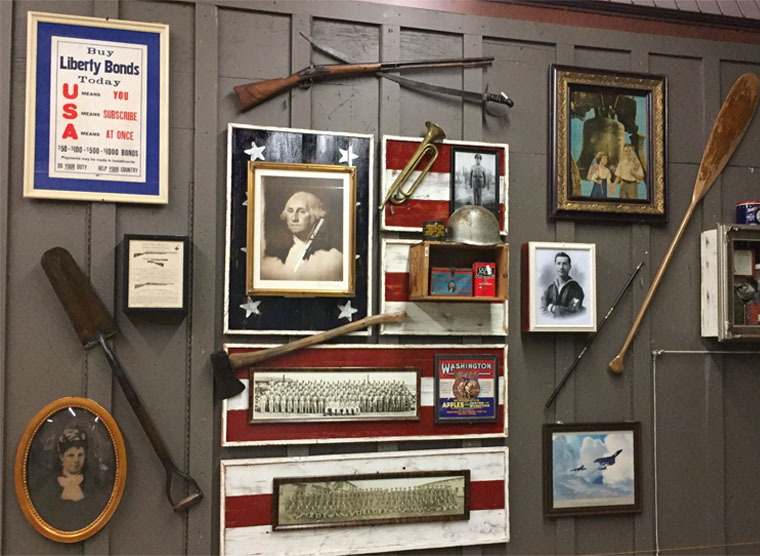 The antiques on the wall are real and pay tribute to local and state history, like the Flyers' hockey display, a guide to Pennsylvania game birds, and memorabilia from former PA companies like Bethlehem Steel, Pennzoil, and the Philadelphia-based Giuseppe Garibaldi Macaroni Company. HOURS: 6 am to 10 pm Sunday through Thursday and from 6 am to 11 pm on Friday and Saturday. MENUS: Breakfast is served all day and lunch and dinner options begin at 11 am. CATERING: Call and ask about their exciting catering menus - home cookin' is good anytime, anywhere! 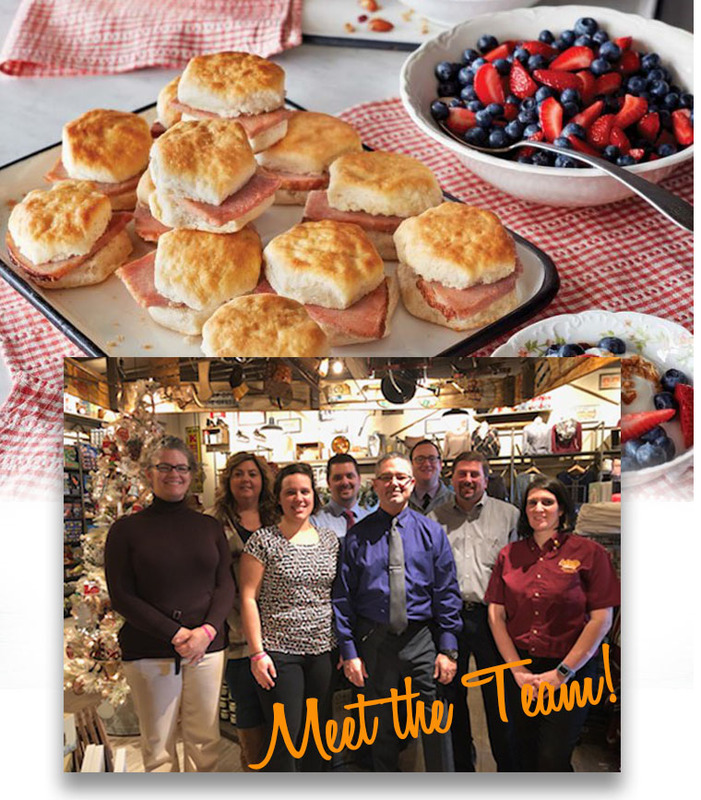 SERVE A SOUTHERN THANKSGIVING: Let Cracker Barrel do the cooking this year! Serve home-style Southern fare that you can order in advance, and take home to heat up for your Thanksgiving dinner! 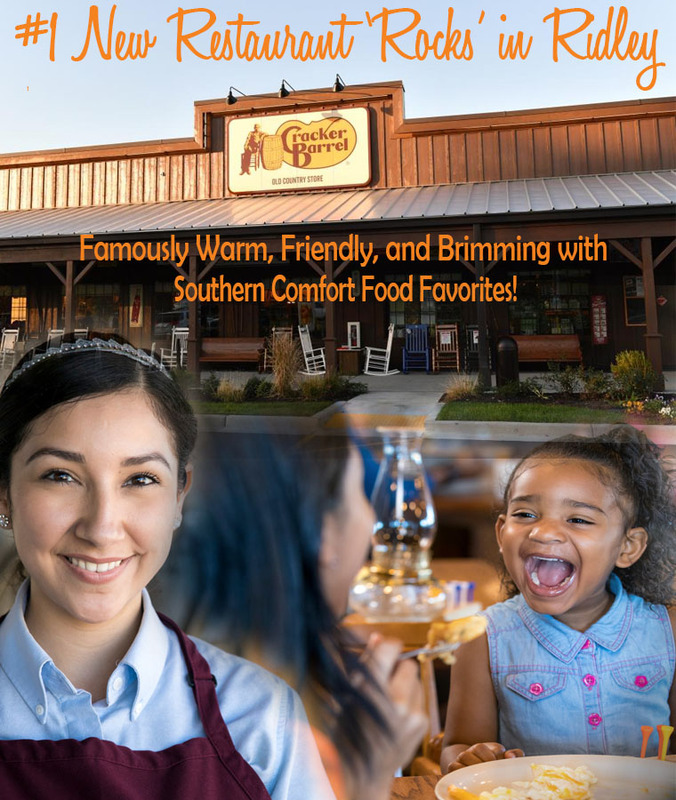 CLICK HERE FOR A CHANCE TO WIN A “DINNER-FOR-TWO” GIFT CARD TO CRACKER BARREL!